Mazda has been employing a new strategy for their product line, which is giving each of its models upgrades throughout its lifespan, rather than waiting to introduce new features when the model gets a complete redesign. I think this is a great strategy, as customer feedback comes in when a new model is released, in the next couple years Mazda rolls out what customers want the most. 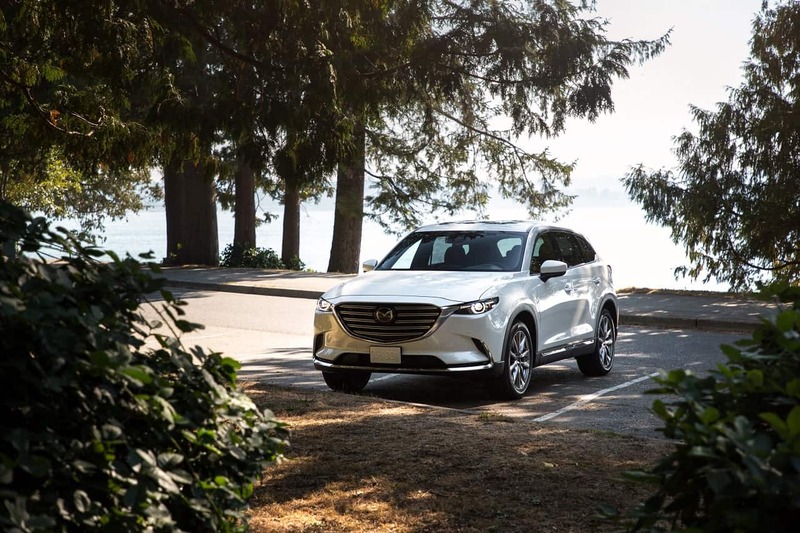 A few examples of this include the power upgrade on the MX-5, turbocharged and more powerful Mazda 6, and soon to be available turbocharging on the CX-5, updated design on the CX-3, and the introduction of Android Auto and Apple CarPlay on the CX-9 (this will be available on other models soon). 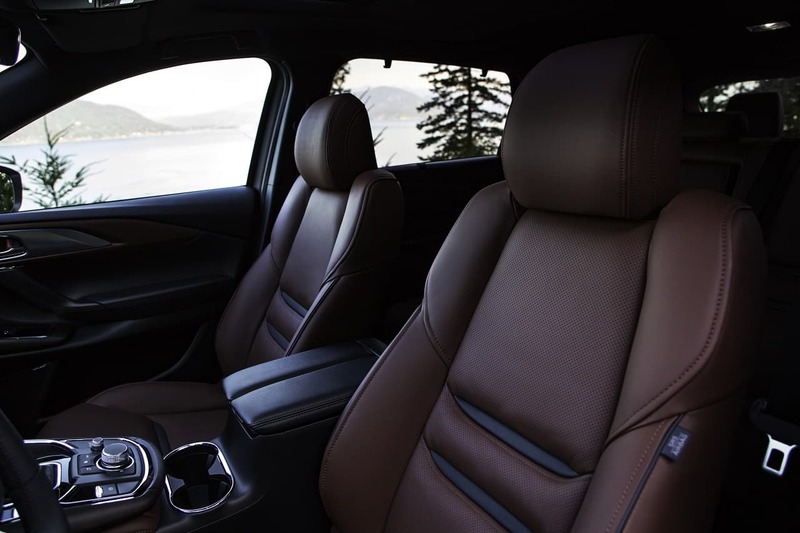 Our review car for the week was the newly updated 2019 Mazda CX-9 Signature, which is the top of the line trim and I absolutely love the interior on this vehicle with its beautiful Nappa brown leather, the interior on the Signature line is up there with luxury brands. 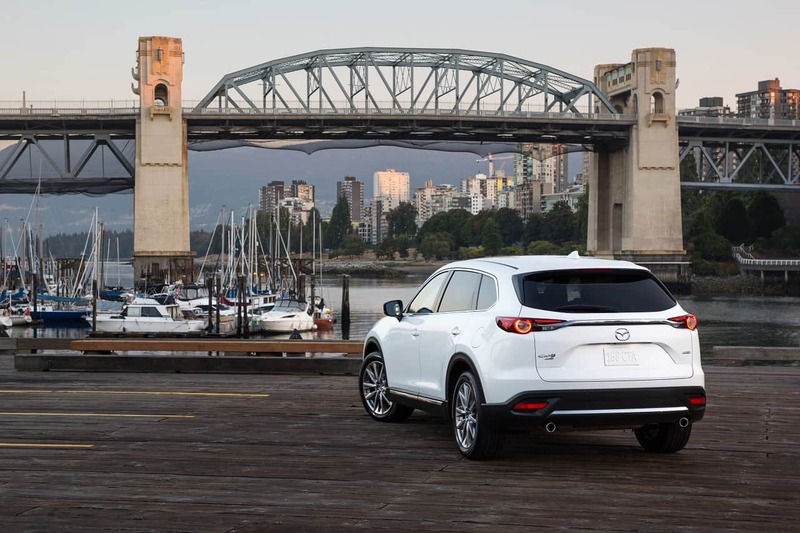 In Canada, prices for the 2019 Mazda CX-9 start at $36,700 for the GS trim with FWD and $40,000 with AWD. The GS-L trim starts at $43,300, the GT starts at $48,500 and the Signature starts at $51,500. Prices do not include Freight & PDE charges of $1,895. Other than the base GS trim, all trims are equipped with AWD and the only available transmission is a 6-speed automatic. All trims are equipped with the SKYACTIV-G 2.5 liter turbocharged 4-cylinder engine, producing 227 horsepower at 5,000 rpm on regular (87 octane) gasoline and 250 HP on premium (93 octane) gasoline, and 320 pound-feet of torque at 2,000 rpm. 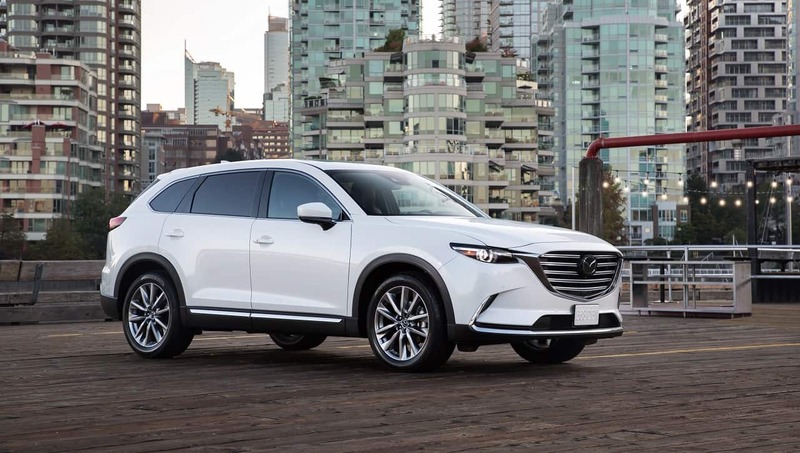 I have been a big fan the Mazda CX-9 since the day the second generation was released, I think it is one of the nicest looking crossover currently available and the interior is very luxurious, I reviewed a 2016 CX-9 a few years ago, have look at that review. This review is focused on what’s new for the 2019 model year. 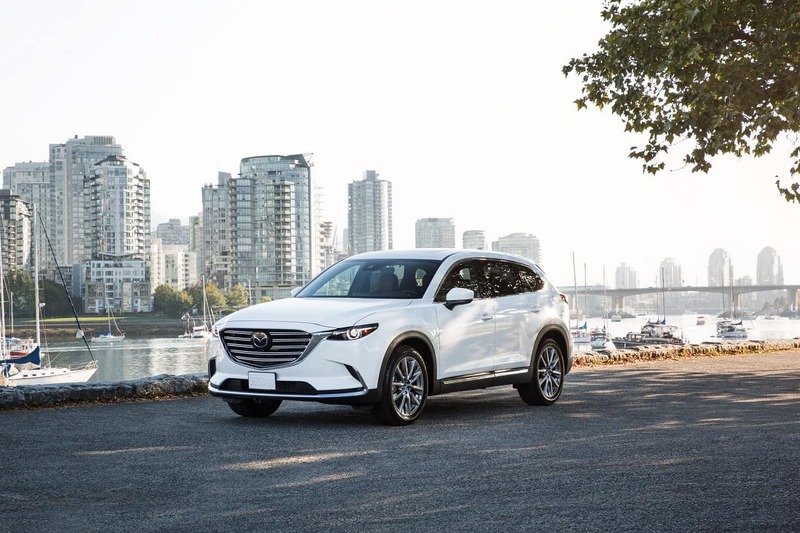 The biggest news for 2019 is the introduction of Apple CarPlay and Android Auto to the CX-9, which Mazda says was one of the most requested items on customer surveys they conducted. This will be rolled out to other Mazda vehicles and can up added to older vehicles with the modern infotainment system. Personally, I don’t care much for Android Auto (I have an Android phone, if I had an Apple phone, I’d feel the same way about CarPlay), because if my car has a navigation system, I prefer to use that. I also don’t want to hand more of my information to Google, aka Big Brother; they already have so much information on me, but I don’t want to give them that last bit. Call me paranoid or old fashioned, I don’t really care. Anyways, a lot of consumers do want these systems, so Mazda provided it. I used Android Auto on the 2019 Mazda CX-9, just to try it. It’s very easy to use, just like on any other vehicle that comes with this system. Once the phone is plugged in, Android Auto takes over (it would be Apple CarPlay if you’re using an iOS phone) for the entertainment, navigation, and home button. You can easily go back and forth between the stock Mazda system or Android Auto. By pressing the Home button for a second or two, the system switches to Mazda’s system and a short press on the Home button takes you to one of the two systems. Pressing the voice button brings up Google Assistant. It’s a pretty easy system to use and I had no problems with it, most consumer shouldn’t have any trouble with understanding how the system works. 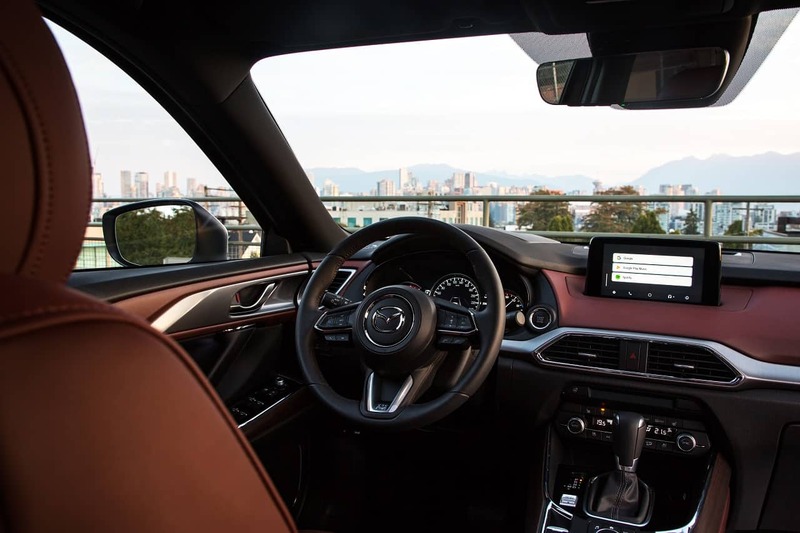 The 2019 CX-9 also comes with the SiriusXM Traffic Plus system, which works in most of the bigger cities in Canada. The system is really good and is great for avoiding congestion due to major accidents, road closures, or construction. With this system, the navigation system automatically re-routes you (if you’re using the navigation system to get to an address) to avoid delays, the system can update every two minutes. 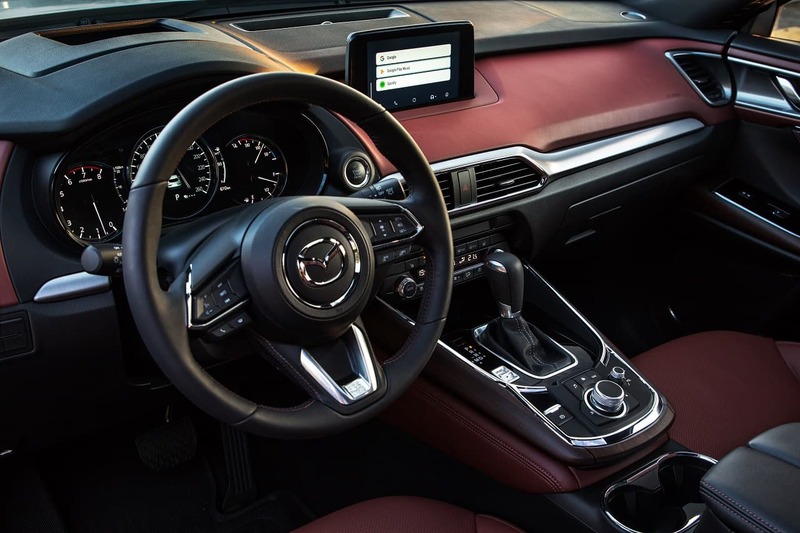 Other improvements/additions to the 2019 Mazda CX-9 include noise reduction in the cabin. The following upgrades are now available on the top two trims: ventilated front seats, 360 degree around-view monitoring, new gauge cluster with a 7” LCD display, automatic power folding side mirrors, and frameless rearview mirror with auto-dimming (only on Signature trim). 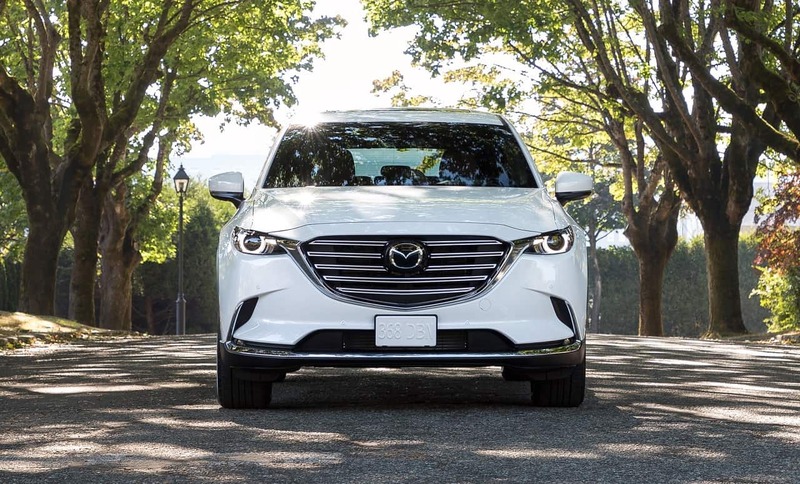 I’ve already been a big fan of the Mazda CX-9 CUV due to its driving dynamics, styling, and interior luxury; with the added features like ventilated seats and live traffic, it makes it even more enticing for me and it should also appeal to consumers who just had to have Apple CarPlay/Android Auto.